Both of these anthologies are host to a glut of gorgeous stories from fabulous authors from around the globe. 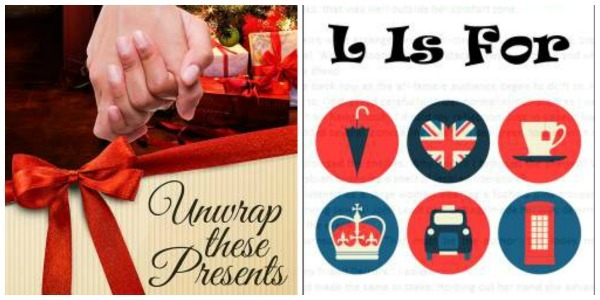 The first, Unwrap These Presents, is a Christmas-themed anthology to get you in the festive mood. Proceeds from it go towards helping homeless LGBT youth – a truly worthy cause. My story, A Champagne Christmas, focuses on Milly, who takes her new love Georgia home for Christmas. Only it turns out Milly’s mum already knows her. Very well. 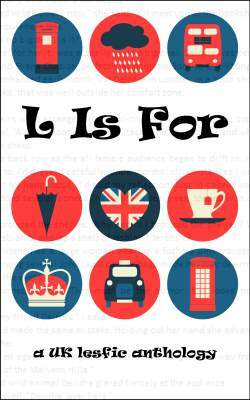 The second, L Is For, is a UK lesfic anthology which features romance, comedy and even a slice of erotica. Proceeds from this go towards the charity RU Coming Out, an online resource aimed at smoothing the coming out process. Plus, The Long Weekend & London Calling are out now – warm up your winter evenings with one today!